"Our Father which art in heaven, Hallowed be thy name." 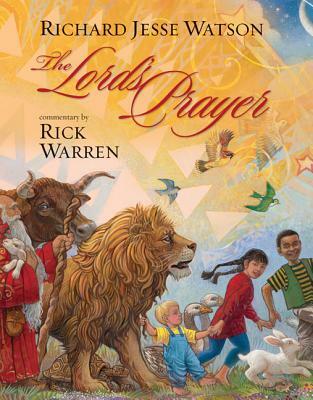 The Lord's Prayer pulses with new life through the exquisite illustrations of award-winning artist Richard Jesse Watson, and simple, yet insightful commentary by bestselling author Rick Warren. Watson's use of vibrant color and detailed imagery beautifully captures the essence of Jesus' words to his disciples, and Warren's thoughtful words help make the King James Version of this prayer come alive for readers young and old.